Dr. Adebola Dele-Michael is a leading dermatologist in Midtown Manhattan West, NY, providing patients with skilled care in a state-of-the-art office setting geared toward patient comfort. As a recognized expert in both medical and cosmetic skin care treatments, Dr. Dele-Michael is uniquely positioned to provide the best, safest, most effective treatment for a wide range of issues based on each patient's skin type, health history and objectives. Working with both adult and pediatric patients of all skin types, she specializes in creating one-of-a-kind treatment approaches designed to achieve optimal results. Dr. Dele-Michael is highly regarded for her work in general and cosmetic dermatology and dermatologic surgery. She has become well known among patients and colleagues for her cosmetic treatments that produce natural-looking results that enable women and men to look refreshed and rejuvenated without looking artificial. As a leading expert in injectable treatments, Dr. Dele-Michael offers a full array of top-quality products and treatments, including Botox, Dysport, Xeomin, Juvederm, Restylane, Belotero, Perlane, Radiesse, Voluma and Sculptra so patients can look and feel their confident best. She also offers noninvasive and minimally invasive procedures for skin tightening, wrinkle removal, fat reduction, tattoo removal, and treatments for scars and spider veins, creating custom treatment plans for each patient she sees. After earning her bachelor of science degree with honors in biochemistry from the State University of New York (SUNY) at Stony Brook, Dr. Dele-Michael received her M.D. at University of Rochester School of Medicine, graduating with distinction. She completed her dermatology residency at Wayne State University in Detroit, also serving as chief resident. 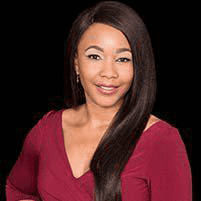 Today, Dr. Dele-Michael is a leading authority in innovations and novel techniques in cosmetic dermatology, and she has been featured prominently in national media. In addition to her practice in New York City, she is a clinical instructor of dermatology at Mount Sinai School of medicine, and she is a diplomate of both the American Academy of Dermatology and the American Society for Dermatologic Surgery.